Japan Trip Starts at KidZania! 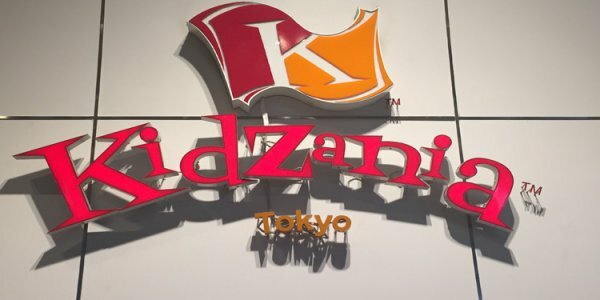 KidZania is the coolest theme park you're not allowed to go to! Walt Disney World Coolest Summer Ever! Part 1 of what's happening around the resort this season! POV Video of Junker at PowerPark! Are you ready to ride the park's new launched coaster? Rewind Racers Media Day Report with POV Video! Adventure City shows off their new family shuttle coaster! Report from M&Ds, Scotland's Only Theme Park! A look at this little park outside Glasgow! First-Time Visit to Holiday World! 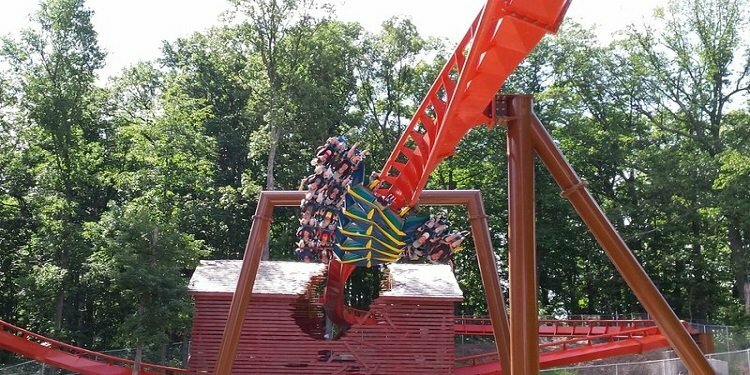 Holiwood Nights report from a first-time visitor to the park! 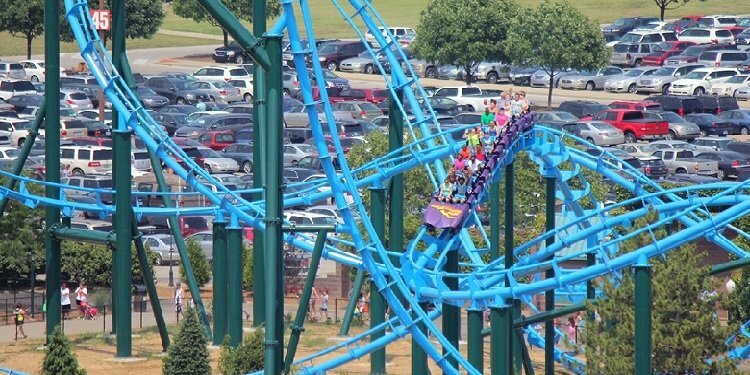 Great Zo's Kentucky Kingdom Report! Excellent photos from TPR's Mini New Hotness Trip! 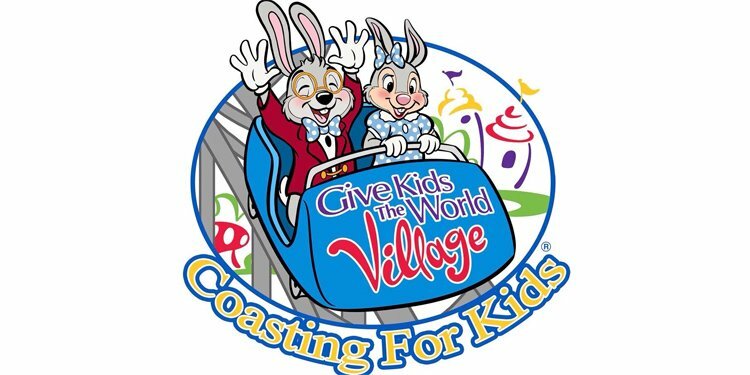 Coasting For Kids - FINAL DAY to donate! Help Team TPR get to $40,000 raised! Click and please donate to one of our teams! Every little bit helps! Switchback Update from ZDT's Amusement Park! More progress on the Gravity Group wooden shuttle coaster! Justice League: Battle for Metropolis Media Day Report! 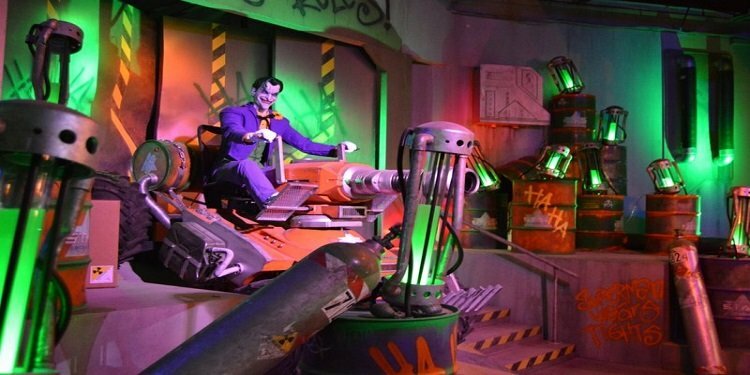 Six Flags St. Louis shows off their new dark ride! Disneyland Kicks Off 60th Anniversary Celebration! Three-day media event with lots of surprises! Dare Devil Chaos Coaster Media Day--plus POV Video! 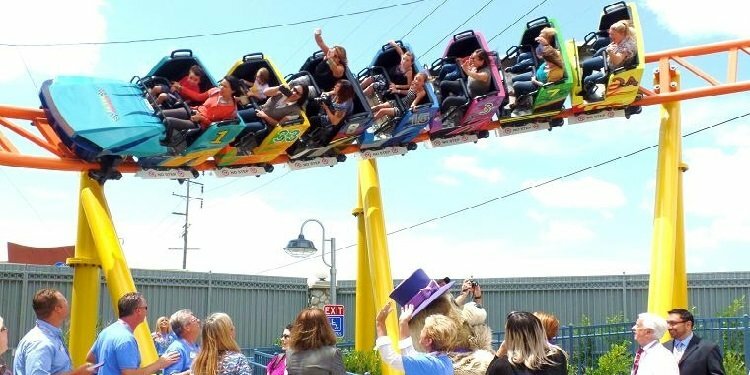 Six Flags Discovery Kingdom debuts their new thrill machine! 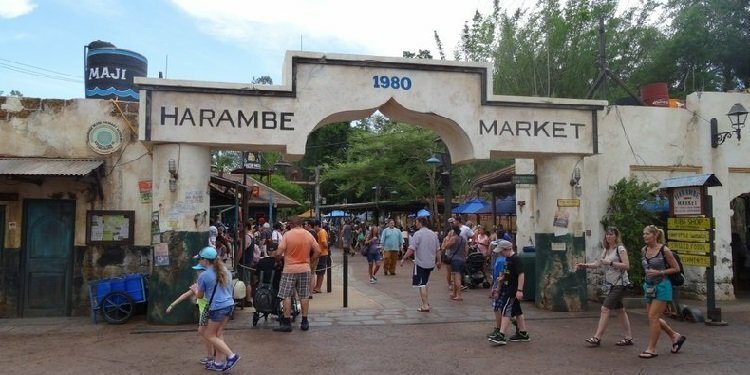 Harambe Market at Disney's Animal Kingdom! Expansion of Africa with new, well-themed shopping & dining! 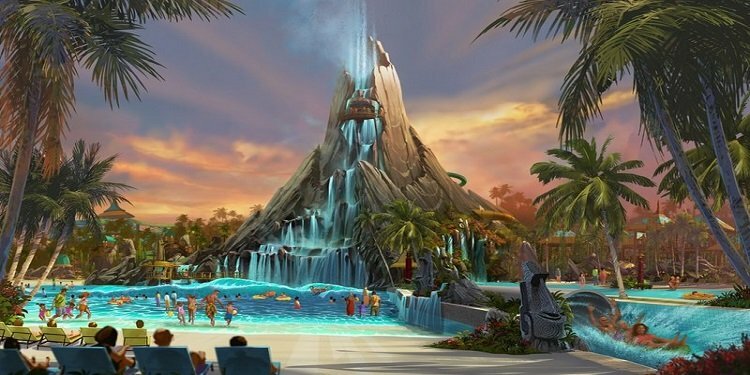 Spectacular new water park for Orlando! 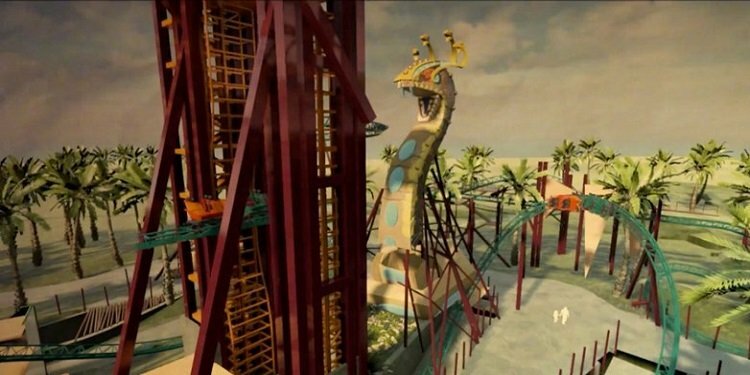 Cobra's Curse coming to Busch Gardens Tampa! Wow! Will this be the best spinning coaster ever? Viking86 takes a European look at Disney, Busch Gardens, & more! Mako B&M Hyper Coaster at SeaWorld Orlando! SeaWorld Orlando announces the tallest, fastest, longest coaster in Orlando! March 24th - Hersheypark's Fahrenheit is topped off! March 20th - Boston Dynamic's Big Dog - The Future of Animatronics? March 17th - Nick Universe at Mall of America - Opening Day Photos! March 10th - Parque Zaragoza, Spain - A new TPR Video! March 1st - It Came From Wes' Closet! March 1st - West Coast Bash 2008 Update! February 27th - Scott's Amusement Closet - The Cascade Park Comet! February 26th - TPR's *BIG* Spain & Mini-Europe Update! February 16th - Six Flags Magic Mountain Update - Job Fair! February 12th - TPR's Epic Holiday Adventure Part 3 - Walt Disney World! February 11th - Hard Rock Park - New Construction Photos! February 7th - West Coast Bash 2008 - Updated Information! February 6th - Klotten Park, Germany - New TPR Video! February 1st - Shane's Amusement Attic - "Kennywood's Laser Loop"
January 31st - Thorpe Park's 2009 Coaster Confirmed! January 25th - TPR's Epic Holiday Adventure Part 2 - More Cruise Antics! January 24th - TPR's Epic Holiday Adventure Part 1- Cruise with TPR! January 13th - TPR's Japan Trip - More Tokyo Disneyland! January 6th - Carousel of Progress Evacuation Video! January 1st - Theme Park Review's DVD Release Party! RSVP Now! December 30th - TPR's Coaster Video Contest is BACK! December 29th - TPR's Japan Trip - Tokyo Disneyland! December 25th - A New TPR Video! Port Aventura! December 19th - A Theme Park Review Christmas! Disneyland, Six Flags Magic Mountain, and a Party! December 15th - Intamin Ride Catalog from the 1980s! December 12th - A Robby Robb Christmas Special! December 11th - Kennywood has been SOLD! December 3rd - Clementon Lake's Jack Rabbit - GONE! December 1st - Theme Park Review's Japan Trip - Fuji-Q Highland Photos! November 30th - Hard Rock Park - Led Zeppelin: The Ride Testing Video! November 27th - Erik Johnson's Universal Orlando Update with The Simpsons, Harry Potter, Disaster, and MORE! November 27th - Three Insane Weeks with Justin! November 26th - TPR's Japan Trip - Cosmoworld Photos! November 25th - A look back at Arrow's "Pipeline Coaster"
November 24th - Kings Island Announces "The Bat"...at least they did in 1981! November 21st - TPR's Japan Trip - LaQua & Sea Paradise Photos! November 18th - Roller Coasters in the RAW - Volume 1 is released! November 16th - Mitch Hawker's Wood Coaster Poll is BACK! Vote Now! November 12th - Cedar Point's Maverick POV Video from "Roller Coasters in the RAW" DVD! November 6th - Theme Park Review's Giant "Halloween in Orlando" Update! November 1st - Six Flags Magic Mountain Announces "X2"
October 23rd - "The Ballad of Mr. Six" Video and "What's in a Brain?" DVD Announcement! October 19th - Theme Park Review's Japan Trip - Joypolis Area Photos! October 17th - New Disney's California Adventure Expansion Announced! October 14th - Theme Park Review's Japan Trip - Hamanako Pal Pal Photos & Video! October 12th - TPR Hoodies are BACK! Order Yours Today! October 11th - Theme Park Review's China 2008 and Tokyo 2008 Trips Announced! October 6th - Halloween Horror Nights Hollywood - Video, Photos, & Review! October 5th - Theme Park Review's Japan Trip - Lagunasia Photos! October 3rd - CFC's Photo Trip Report from TPR's Japan Trip! October 2nd - Theme Park Review's Japan Trip - Nagashima Spaland Photos! September 30th - TPR 2008 Trips Chat Transcript & FAQ Posted! September 29th - Steel Dragon 2000 POV Video! For TPR Members Only! September 28th - Theme Park Review's Japan Trip - Parque Espana Photos! September 28th - Parque Espana Pyrenees Video - For Members Only! September 27th - Six Flags St. Louis Announces Evel Knievel - A new GCI Wooden Coaster! 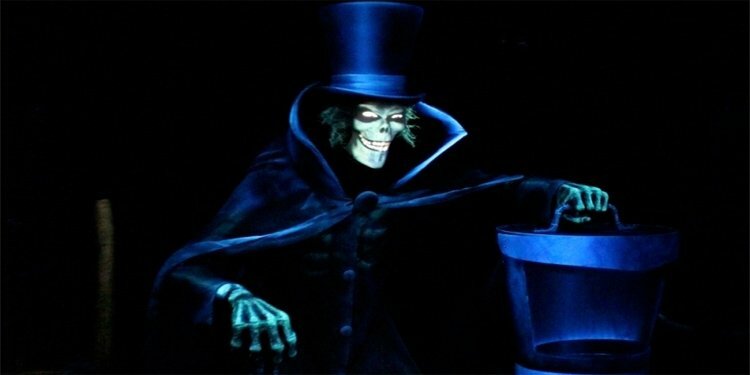 September 25th - Theme Park Review's 2008 Trips - New Information! Deposit Deadline Extended! September 5th - Theme Park Review's Japan Trip 2007 Has Begun! September 2nd - Theme Park Review's Midwest Trip - Kings Island Photos! August 31st - Theme Park Review's Midwest Trip - Kennywood Photos! August 27th - Canada's Wonderland Announces "Behemoth"
August 24th - Theme Park Review's Midwest Trip - Six Flags Great America Photos! August 20th - Theme Park Review's Midwest Trip - Wisconsin Dells Photos! August 14th - Theme Park Review's Midwest Trip - Little Amerricka Photos & Meteor POV Video! August 8th - Theme Park Review's Midwest Trip - Indiana Beach Photos & Videos! August 6th - Theme Park Review's Midwest Trip - Beech Bend Park Photos! August 5th - Theme Park Review's Midwest Trip - Six Flags Kentucky Kingdom Photos! August 3rd - Theme Park Review's Midwest Trip - Holiday World photos & Voyage Video! August 2nd - Theme Park Review's Midwest Trip has Begun! Coney Island, Cincinnati Photos! June 30th - Theme Park Review's Spain Trip 2007 has begun! June 25th - Soren Says "Thank You Theme Park Review!" June 20th - Take TPR's 2008 Trip Questionnaire! June 18th - BeemerBoy's AWESOME Cedar Point Photo Trip Report! June 16th - SheiKra at Busch Gardens Africa Goes Floorless! May 31st - Universal Orlando Announces "Harry Potter"
May 29th - Rich's Photo TR from Busch Gardens, Kings Dominion, and Knoebels! May 24th - Valleyfair's Renegade - Photos and Video! May 21st - pkdcoaster's Busch Garden's Europe Griffon Photo Trip Report! May 19th - KidTums in Florida Part 3 - A day at Epcot! May 18th - KidTums in Florida Part 2 - Time for Disney's Magic Kingdom! May 17th - KidTums in Florida Photo Trip Report - Photos & Video from Universal Orlando! May 14th - Nicole does Darien Lake - Photo Trip Report! May 12th - Valleyfair's Renegade POV Video! May 5th - Fatal Accident on Fujin Raijin II Roller Coaster at Expoland in Japan. May 5th - DubaiDave Goes to Thailand! Pattaya Funny Land! April 26th - Captain's China Theme Park Photo Trip Report! April 24th - Ghost Town In The Sky Construction Tour! April 23rd - TPR Goes to Six Flags Great Adventure - Photos & El Toro Video! April 23rd - TPR Meet at Six Flags America - Photo Update! April 20th - Yeti Ball Photoshop Contest - FINAL ROUND! April 15th - Round 1 Voting - "Yeti Ball" Photoshop Contest! April 14th - New "Robby Robb" Comic Strip! April 13th - Derek & Nicole to Hersheypark's Springtime in the Park! April 10th - KidTums goes to Six Flags Magic Mountain! April 5th - Theme Park Review's West Coast Bash 2007 Update from Six Flags Magic Mountain! April 1st - Announcing the Theme Park Review "Swimsuit Calendar"
March 31st - Dollywood's Mystery Mine Un-Officially Open! Check out pics of this new coaster! March 31st - Back To The Future at Universal Orlando - CLOSED! March 30th - New TPR Photoshop Contest - "Where in the World is Yeti Ball?" March 26th - TPR Goes to a Getto Parking Lot Fair! March 26th - Six Flags Over Georgia 2007 Update! March 25th - Efteling's New Water Coaster Opens! March 22nd - New Theme Park Review Video - Alton Towers, UK! March 17th - Derek and Nicole do Orlando! The Photo Trip Report! March 16th - The Jiggidy Johnson's do Southern California - Photo Trip Report! March 14th - Hollywood Dream - A new B&M Hyper Coaster Opens at Universal Studios Japan. March 14th - PhishyBrewer visits Japan! Tokyo Disney and Fuji-Q Highland Photos! March 10th - "Un Solace" Weekend Photo & Video Trip Report! Disneyland, Legoland, and More! March 6th - Myrtle Beach Hurricane Gets Demolished! March 3rd - KidTums is here! Kristen Taylor Alvey is born! February 20th - Canobie Fan's "Hippo" visits parks all over the world! February 17th - Plopsa Indoor Park, Belgium - Photo Trip Report! February 14th - Happy Birthday TPR Forums! February 13th - Chuck's "First Time Visit to Walt Disney World" Photo Trip Report! February 9th - New TPR Video - Power Park, Finland! January 30th - Kobe Portipialand's BMR-X is now in storage at Camelot Amusement Park in England! January 29th - Infusion at Blackpool Pleasure Beach - Construction Photos! January 20th - West Coast Bash 2007 at Six Flags Magic Mountain Announced! January 19th - Psyclone at SFMM getting torn down? January 19th - Little Robby Robb Goes To Fakeland - Update! January 17th - Disney News! Looks like new attractions, shows, and a park are on the horizon! January 16th - Does this look fun? January 15th - Jahan Goes To Disneyland.....Yup! January 13th - New TPR Video! Sarkanniemi, Finland! January 9th - Behind the Scenes Construction Tour of Cedar Point's "Maverick"
January 8th - Tokyo Disney and Bangkok as seen by TPR Member "aslinterpreter"
January 1st - Sanrio Park Harmonyland, Japan - Full Photo & Video Update! December 31st - Uminonakamichi Seaside Park - Full Photo & Video Update! December 30th - Space World, Japan. TPR's Full Photo & Video Update! December 30th - Galaxy Express 999 Coaster at Aqua Stadium - Tokyo Japan - Photos & Video! December 28th - Ocean Park, Hong Kong - TPR's FULL Photo & Video Update! December 26th - Hong Kong Disneyland - The FULL Photo & Video Update! December 25th - More Christmas Goodness! New Construction Photos from Kemah Boardwalk! 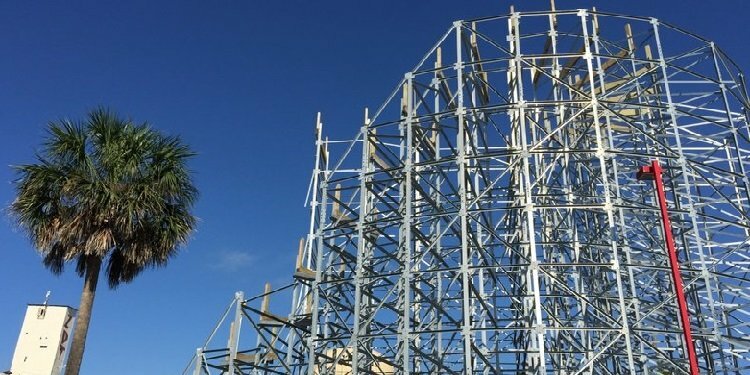 December 23rd - Toverland's GCI Woodie has gone vertical! December 22nd - King's Dominion's Flight of Fear Behind the Scenes Tour! December 19th - 133 Coaster POVs & Music Video! Forum Members ONLY! December 18th - New TPR Video! Closing Segment from Coaster Expedition Volume 8! December 15th - TPR's Christmas Party! Six Flags Magic Mountain, Knott's, & Disney's California Adventure! December 13th - Son of Beast's Loop...GONE?!?! - Join in the discussion! December 11th - New Gravity Group Woodie going to Texas! December 6th - The Internet Wood Coaster Poll Results! December 4th - Christmas in the Smokies! Jarmor takes us to Dollywood! December 3rd - Erik Johnson's Six Flags Over Georgia Video! November 28th - Join TPR's Nintendo Wii Community - Post Your Friend Code! November 26th - Cruising with Theme Park Review - Our Final Days at Sea! November 25th - New Thorpe Park Video from TPR's UK Trip! November 25th - Cruising with Theme Park Review - Cozumel, Mexico! November 24th - Announcing TWO new TPR DVDs! Order now and get a FREE TPR Christmas Ornament! November 23rd - Happy Thanksgiving from Costa Maya, Mexico! Cruising with TPR - Day Four! November 22nd - Cruising with Theme Park Review - Day Three - Ziplines in Belize & Jew almost dies! November 21st - Cruising with Theme Park Review - Day Two! November 20th - Cruising with Theme Park Review! 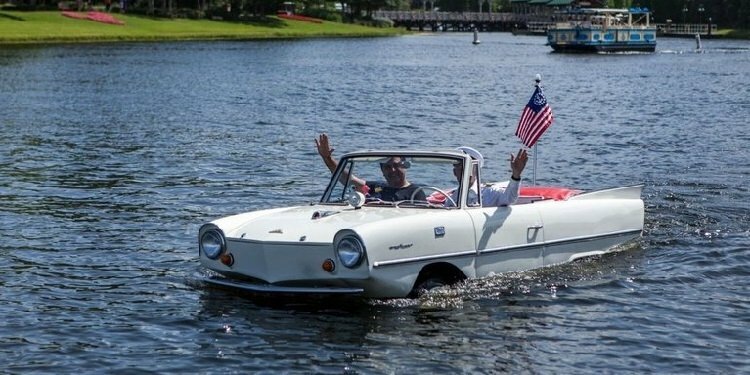 Robb, Elissa & the gang take to the seas! November 17th - More IAAPA 2006 Coverage! November 16th - Vote for your favorite "Robb Report"
November 14th - Liseberg & Balder on "The Bachelor" - See the clip here! November 10th - The Adventures of Yeti Ball in the UK! November 9th - New Lil' Robby Robb Video - Stationman's Dark Ride POV! November 7th - The Professional Amateur's Videographer Forum - Video Directory Updated! November 6th - Cedar Point Maverick Construction Update! November 3rd - MrMorgan's Munich Oktoberfest 2006 Video! November 1st - Mitch Hawker's Wood Coaster Poll - VOTE NOW! November 1st - And if you need help, there is TPR's "Idiot's Guide to Mitch Hawker's Wood Coaster Poll!" October 29th - Erik Johnson's Mickey's Not-So-Scary Halloween Party Video! October 27th - Movie Park Germany aka Warner Bros. Movie World TPR Video Posted! October 23rd - Theme Park Review goes BACK to Walt Disney World! October 22nd - Theme Park Review visits Cypress Gardens and Busch Gardens! 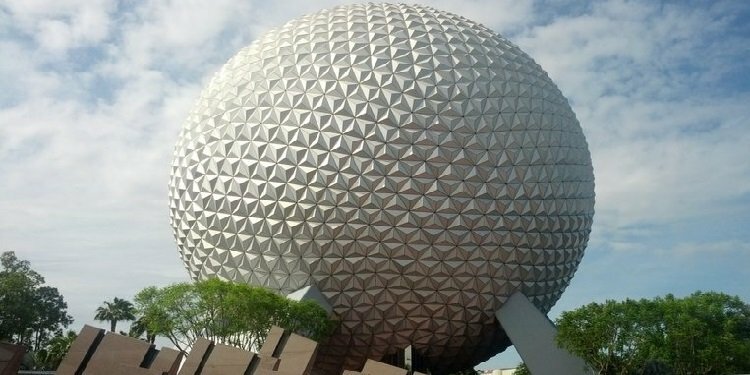 October 21st - Theme Park Review visits Epcot & Magic Kingdom! October 20th - Theme Park Review visits Universal Orlando's Halloween Horror Nights! October 19th - Theme Park Review's "Real World Orlando" Update - Walt Disney World! October 15th - Added TPR's Halloween Horror Nights Universal Hollywood VIDEO! October 7th - Added Six Flags Great Adventure El Toro Video! October 5th - 6 New Coaster POV Videos from Blackpool Pleasure Beach! October 2nd - Theme Park Review's UK Tour 2006 - New Photo Trip Reports & Videos! September 23rd - Lil' Robby Robb gets ANIMATED! FLIPDUDE's first cartoon based on his TPR comic strip. September 22nd - Universal Orlando's Halloween Horror Nights 16 - Updated Information! September 21st - Dollywood's Mystery Mine Construction Photo Update! September 20th - New Theme Park Review Video - Uminonakamichi Seaside Park - Japan! September 20th - Lil' Robby Robb & The Gang go to "Fakeland" - New Cartoons! September 9th - Tokyo DisneySea Tower of Terror Report! September 9th -Fuji-Q Higland's Eejanaika Video! September 9th - Dollywood's Mystery Mine Construction Photo Update! September 8th - Fantasy Island & Skegness, UK Photo Update Added! September 3rd - LOTS of new Cedar Point 2007 Construction Photos! September 2nd - Robb & Elissa's Mini Walt Disney World Update! September 1st - Power Park, Finland Photo Update Added! August 31st - Download TPR's Hong Kong Disneyland Video! August 29th - TPR's 2007 Spain & Midwest USA Group Trips Announced! August 27th - Check out Ryan King's "My Life Without TPR" Video! August 23rd - TPR's Summer Party & SFMM Meet - Check out all the photos and VOTE for your favorite Photo TR! August 20th - Market World and Universal Islands of Adventure's new "Suess Trolley Train Ride"
August 8th - Linnanmaki, Finland Photo Update Added! August 4th - Sarkanniemi, Finland Photo Update Added! July 30th - Fuji-Q Higland's Eejanaika, S&S/Arrow's 4th Dimension Roller Coaster Media Day Photos & POV Video! July 29th - Check out a Photo Trip report from Grona Lund, Sweden! 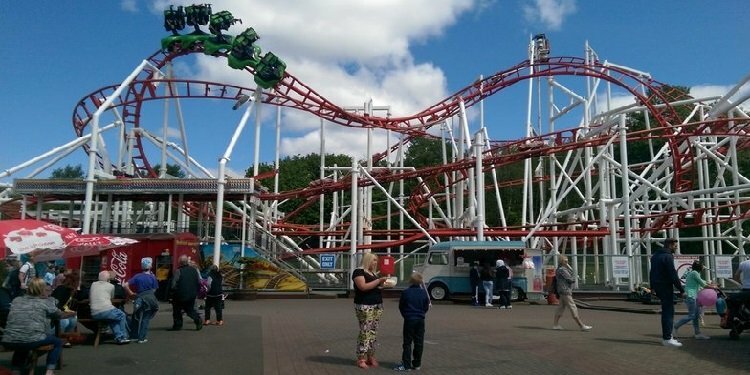 July 25th - Theme Park Review's UK Tour Europe Add On - Liseberg Photos & Video Posted! July 22nd - Theme Park Review goes to COMIC CON!!! July 17th - Theme Park Review's UK Tour Europe Add On - TusenFryd Photos & Video Posted! July 17th - Rich, Guy, and um...Kim Possible visit Six Flags Great Adventure! July 15th - Theme Park Review's 3rd Annual Coaster Video Contest WINNERS ANNOUNCED! July 13th - Theme Park Review's UK Tour - Day Nine Thorpe Park Photos & Video Posted! July 4th - Theme Park Review's UK Tour - Day Eight Part One Pleasurewood Hills! July 1st - Theme Park Review's UK Tour - Day Seven Part Two Flamingoland! June 30th - Flamingoland's Magnum Force has a new home in Mexico! June 28th - Theme Park Review's 2006 UK Tour - Day Seven Lightwater Valley! June 25th - Theme Park Review's 2006 UK Tour - Day Six Blackpool Pleasure Beach! June 20th - Theme Park Review's 2006 UK Tour - Day Five Southport Pleasureland! June 16th - Theme Park Review's 2006 UK Tour - Day Four Photos - Drayton Manor! June 15th - Theme Park Review's 2006 UK Tour - Day Three Photos - Alton Towers! June 13th - Theme Park Review's 2006 UK Tour - Day Two Photos - Oakwood! June 11th - Theme Park Review's 2006 UK Tour - Day One Part Two - Coney Beach! June 10th - Theme Park Review's 2006 UK Tour - Day One Photos - Chessington World of Adventures! June 9th - Theme Park Review's 2006 UK Tour - Day Zero Photos & Videos - Legoland Windsor! June 5th - Added Coaster Video Contest BALLOT! Time to vote for your favorite video! May 29th - Theme Park Review's 3rd Annual Coaster Video Contest! - Final Video Entries Added! May 22nd - Theme Park Review's 3rd Annual Coaster Video Contest! - Added 5 more videos! May 21st - Added Construction Tour Video of Fuji-Q's Eejanaika. May 15th - Theme Park Review's 3rd Annual Coaster Video Contest! - Added 5 more videos! May 8th - Theme Park Review's 3rd Annual Coaster Video Contest! - Added 5 more videos! May 6th - Added Photos & Videos from "Polar Plunge" and "Tatsu Update!" May 1st - Theme Park Review's 3rd Annual Coaster Video Contest! - 5 video contest entries posted! April 28th - Erik Johnson and Sören visit Universal Orlando & Islands of Adventure! April 26th - Six Flags Over Georiga Goliath Video in the Members Only Video section! April 25th - Jeff & Chris from GCII ride Power Park's new Thunderbird woodie! - Forum Members Only! April 24th - Photos of Fantazy Land in Egypt - Is this the worst park in the world? April 19th - Added Six Flags Magic Mountain Tatsu Testing Photos and Video! April 9th - Added Warner Bros. Movie World Madrid Photo & Video Update! April 7th - Added Parque de Atracciones Photos and Videos! March 20th - Theme Park Review's in Florida! Check out our ongoing Photo Trip Reports! March 16th - TPR's HUGE Wisconsin Dells/Chicago Parks Photo Update! March 15th - Added Thorpe Park Stealth Construction Tour VIDEO!!! March 5th - Added a complete Blackpool Pleasure Beach Photo Update with two videos! March 4th - Robb & Elissa's Mini-UK Trip Photo Update - Blackpool Photos & Steeplechase Video! February 26th - Posted Tatsu Construction Tour VIDEO! February 19th - Yes, another Six Flags Magic Mountain Tatsu Update! February 11th - Even MORE Six Flags Magic Mountain Tastu Photos Added Today! February 10th - A couple new Tatsu "drive by" photos added. January 27th - TPR Announces "Professional Amateur Videographer Forum" and Erik Johnson's Expedition Everest Onride Video! January 26th - Announcing "Dude! Where's my Passport?!" DVD! January 26th - Added two new videos "Prater" and "Blackpool" from "Dude! Where's my Passport?!" DVD! January 11th - Theme Park Review Returns to Asia - "Re-Cap Update"
January 7th - Pick N Mix Video Contest Winners Announced! January 2nd - More Tokyo Disneyland Photos Added! January 2nd - Tokyo DisneySea Photos Added! January 1st - Tokyo Disneyland Countdown Party Photos! December 31st - Nasu Highland in the SNOW photos! December 30th - Hamanako Pal Pal Photos & Mega Coaster Video Added! December 29th - Kobe Portopialand, Central Park, Kurashiki Tivoli Park Photos & Videos Posted! December 28th - Mitsui Greenland and Kashikaen Photos & Videos posted! December 27th - Kijima, Wonder Rakutenchi, and Harmonyland Photos Added! December 26th - Space World and Uminonakamichi Photos & Video Added! December 25th - Part 2 of Hong Kong Disneyland Photos added! December 24th - Hong Kong Disneyland Photos and Space Mountain LIGHTS ON Video added! December 23rd - Theme Park Review Returns to Asia - Ocean Park Photos and Videos added! December 16th - Vote for your favorite Pick-N-Mix Video Contest entry! December 12th - Added POV Video of "Supersonic Odyssey" for Forum Members Only. November 26th - Added Buffalo Bill's Desperado and more Las Vegas photos! November 25th - Added MORE Robb, Elissa, and Derek in Las Vegas Photos and even a video! November 24th - Robb, Elissa, and Derek in Las Vegas Photos! November 21st - Theme Park Review's Holiday Sale! Get our DVDs & Stuff at the best price all year! November 15th - ParkTrips.Com reviews "Tools On The Loose"
October 29th - Robb & Elissa on ThrillNetwork's In The Loop! This time it's a contest of coaster trivia! October 28th - Beech Bend Park Announces Kentucky Rumbler - New GCI Wooden Coaster for 2006! October 25th - Hersheypark Adds New Dark Ride For 2006! October 1st - Elissa Alvey on ThrillNetwork's "In The Loop" Radio Show! September 27th - Added San Diego Zoo and Sea World Photos! September 26th - Added Liseberg Coaster Footage video with POV of Kanonen, Balder, and LIsebergbanan! September 24th - Robb Alvey On ThrillNetwork's In The Loop Radio Show! Download the September 24th Episode! September 19th - Pre-Order Theme Park Review's Coaster Expedition Volume 6 DVD NOW! September 8th - New Downloadable Video - Europa Park! Now available on Video Downloads page! September 2nd- Added The MASSIVE Europe Trip Photo Update - Parc Asterix Photos & Video! September 2nd- Added The MASSIVE Europe Trip Photo Update - Disneyland Paris Photos! September 1st - Added The MASSIVE Europe Trip Photo Update - Walibi Lorraine Photos and Video! August 17th - Mt. Olympus' Hades Downloadable Coaster Video! July 30th - Robb's Trip Around the World - Photo TR's for Portugal, United Kingdom, and Hong Kong! July 25th - Farup Sommerland Video Posted for EVERYONE! Enjoy the new video! July 24th - Updated The Six Flags Magic Mountain 2006 Construction Thread With New Photos! July 19th - Farup Sommerland Video Posted for Forum Members - Our first video from our Europe trip! July 17th - Theme Park Review's 2nd Annual Video Contest WINNERS Announced! July 4th - Added Europe Trip Day Nineteen: Parc Asterix and more Disneyland Paris Trip Report and Photos to Forum! July 3rd - Added Europe Trip Day Eighteen: Disneyland Paris and Disney Studios Paris Trip Report and Photos to Forum! June 15th - Daily Europe Trip Photos and Update Thread Post To the Forum! June 13th - Theme Park Review's 2nd Annual Coaster Video Contest UPDATE - FINAL 5 Video Contest Entries Added! June 10th - Added Photos From "Beach, B&Ms, & BBQ - Our First Official Meet At Six Flags Magic Mountain"
June 6th - Theme Park Review's 2nd Annual Coaster Video Contest UPDATE - Added 5 More Video Contest Entries! May 31st - Theme Park Review's 2nd Annual Coaster Video Contest UPDATE - Added 5 More Video Contest Entries! May 23rd - Theme Park Review's 2nd Annual Coaster Video Contest UPDATE - Added 5 More Video Contest Entries! May 16th - Theme Park Review's 2nd Annual Coaster Video Contest UPDATE - Added 5 More Video Contest Entries! May 12th - Theme Park Review's T-Shirts are here! Get them in our new store! May 9th - Theme Park Review's 2nd Annual Coaster Video Contest UPDATE - Added 5 More Video Contest Entries! May 2nd - Theme Park Review's 2nd Annual Coaster Video Contest UPDATE - Added 5 More Video Contest Entries! April 25th - Theme Park Review's 2nd Annual Coaster Video Contest UPDATE - 5 video contest entries posted! April 10th - Added questionnaire - "Want to take a trip with Theme Park Review?" April 10th - Added Knott's Berry Farm Photos including a CONSTRUCTION update! March 3rd - Yet ANOTHER Knott's Berry Farm Update! March 1st - Theme Park Review announces our 2nd annual Coaster Video Contest! February 14th - Added Cypress Gardens Photo update and video to the forum. February 7th - Added links to reviews of "Japan-A-Mania and MORE!!!" January 28th - Added "A Day In Miami" Photo update from the Dania Beach Hurricane, Uncle Bernie's, and More! January 26th - Theme Park Review featured on "Dvorak's Blog"
January 24th - Added a link to a review of "Japan-A-Mania and MORE!!!" January 10th - Added link for our new DVD "Japan-A-Mania And MORE!!!" November 22nd - IAAPA 2004 Photos! November 16th - Added the "Idiots Guide to Mitch Hawker's Wooden Coaster Poll"
October 18th - Added our HUGE "Japan 2004" Special Update! 100 pages of photos from 18 different Japanese Theme Parks! September 18th - Added Dollywood and Thunderhead Photos! September 6th - Added Hersheypark Video including footage of "Storm Runner!" August 12th - Added "Orlando Parks" video segment! August 1st - Theme Park Review's Video Contest Viewers Choice Award Winners Posted! July 1st - Video Contest Viewers Choice Award Voting NOW OPEN! June 24th - Universal Studios Hollywood - Revenge of the Mummy: The Ride Media Day Photos. June 22nd - Two more video contest entries added - Six Flags Darien Lake and Paramount's Carowinds 2004 Opening Day! June 18th - Vote for your favorite Coaster Club in Westcoaster's Poll! June 15th - Two more video contest entries added - Blackpool Pleasure Beach and Dania Beach Hurricane! June 8th - Two more new video contest entries added - Universal's Islands of Adventure and Knott's Berry Farm! June 4th - Updated the "Coaster DVDs" Page and added links to reviews. June 2nd - Two more new video contest entries added - Paramount's Carowinds and Warner Bros. Movie World Madrid! May 27th - Universal Hollywood's Revenge of the Mummy Hard Hat Tour Photos! May 25th - Two more new video contest entries added - Mirabilandia and Six Flags Over Georgia! May 18th - Two more new video contest entries added - Sydney's Wonderland and Knoebel's Amusement Park! May 11th - Two new video contest entries added - Six Flags Over Texas/SFMM/Knott's and Holiday World! May 9th - "Yet Another Disney's California Adventure Photo Update!" May 1st - Video Contest Winners Announced! Download the winning videos and read how to vote for your favorite video! April 26th - Added Disney's California Adventure Spring 2004 Photos! April 11th - Added Castles 'N Coasters - Phoenix, AZ Photos. April 2nd - Added a link to a review of our 2003 Coaster DVDs. February 29th - Theme Park Review Announces our first ever Coaster Video Contest!!! February 22nd - Check out the RatTums "HamsterCam!!!" January 28th - Added Disney/MGM Studios' Tower of Terror "Best On-Ride Photo Ever" Page. January 21st - Added new Carowinds 2004 "Borg Assimilator" construction photos. January 17th - Added Buffalo Area Trip Update including 200 new photos and two new videos! January 15th - Added recommendation and link for Andrew Hartman's "Coaster Survivor 2003 DVD"
November 9th - Added Quassy, Clementon, and Kennywood video! April 11th - Robb Alvey's Coaster Videos now on DVD! December 12th - Added detailed information about "Coaster Season 2002"
December 12th - Added detailed information about "Coaster Footage 2002"
December 10th - Added "Robb Alvey's Coaster Season 2002 Now Available"
October 23rd Added European Coaster Odyssey Photos! October 23rd Added Holiday Park/Expedition GeForce Video! October 18th - Added Knoebel's Phoenix Phall Phunfest 2002 Photos! September 6th - European Coaster Odyssey Videos NOW AVAILABLE! August 9th - Added Pleasureland Video from ACE European Coaster Odyssey! August 1st - Added SRM 2002 Video! June 22nd - Added Knott's XLR8R Video! Jan 19th - Added Elissa's California Weekend photos! Jan 18th - Post Solace Six Flags Magic Mountain photos Added! Jan 17th - Knott's Winter Coaster Solace 2001 Photos Added! These pages are in no way affiliated with nor endorsed by Busch Entertainment, Cedar Fair, Legoland, Paramount Parks, Tussaud's Group, Six Flags, Universal Studios, the Walt Disney Company, Walt Disney World, or any other theme park or roller coaster company. All onride photos and videos on this website were taken with the permission of the park by a professional ride photographer. For yoursÂ and others safety, please do not attempt to take photos or videos at parks without proper permission.